Singrobo Ahouaty Hydropower Project is a low head hydropower project having developed capacity of 45.10 MWe on the Bandama River in the southern part of Cote d’lvoire, located between earth coordinates 6°06’11.2918″N and 4°57’0.7085″W. A concrete gravity spillway weir having eight bays of 4.5 m width with 3 m high radial gates, eight radial-gated flushing outlets below them and an adjacent power station, constructed on the left bank. The overall dimension of the spillway is 52 m x 28 m. The structure is split into two main blocks to easy the construction. The power intake structure which is interconnected to the powerhouse through a relatively short penstock is situated again on the left bank adjacent to the spillway. 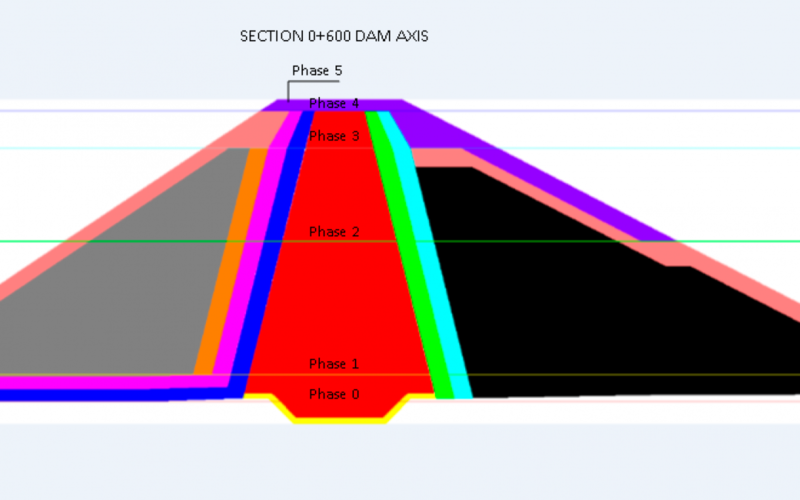 When compared to the spillway axis along the river, power intake structure is twisted by 6 degrees towards upstream. The power intake structure with 38.0 x 25.50 m dimensions is equipped with maintenance and service gates and further with trash racks at the entrance. A powerhouse housing two vertical Kaplan units. An unlined 30 m wide approximately 1400 m long tailwater channel, diverting the turbined flow to Bandama River. Cliente: IHE (Ivoire Hydro Energy).